Arsenal are seriously considering Patrick Vieira to replace Arsene Wenger as manager. Wenger has endured a miserable 2017/2018 campaign, with a Premier League top-four place out of reach. Victory in the Europa League, where Arsenal face favourites Atletico Madrid in the semi-finals, is the only path into the Champions League. 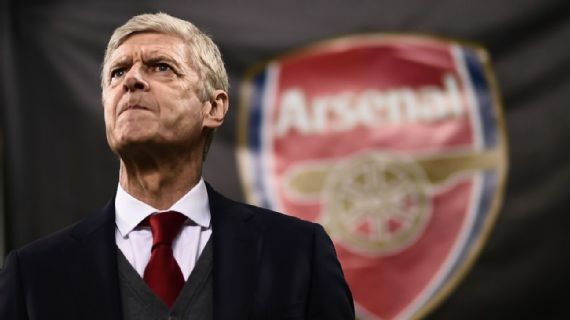 This has led to growing disaffection among fans and the indications are that Wenger will step down after 22 years at the club. Legendary former midfielder Vieira, 41, is currently managing at New York City and could potentially have a long-term future with the City Football Group, who also own Manchester City. Vieira played for nine seasons under Wenger. He won three Premier League titles and three FA Cups before moving to Juventus, Inter Milan and Manchester City where he won the FA Cup again in 2011. He went into management and worked for two years at City in charge of the development squad, before taking the step into senior management in 2016 when he took over at New York City in the MLS.